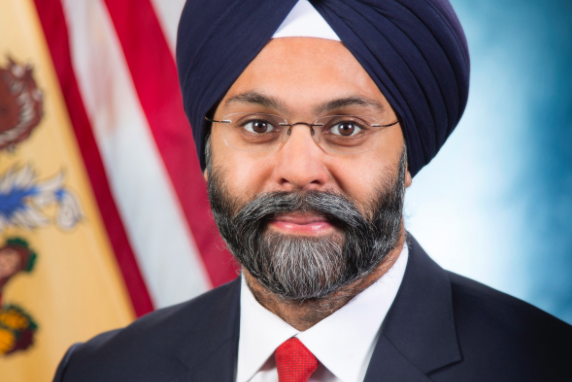 New Jersey Attorney General Gurbir S. Grewal. The state of New Jersey has reached a formal settlement with the Nanticoke-Lenni-Lenape tribe of Native American Indians, resolving a three-year legal battle over the state's official position on the tribe's status. With historic roots in southern New Jersey and the Delmarva Peninsula, the Nanticoke Lenni-Lenape Tribal Nation is comprised of approximately 3,000 descendants of two of the region's most widely documented indigenous groups. They remained in or returned to their native homelands after their ancestors suffered removals and forced migrations west and north to Canada. New Jersey officially recognized the Nanticoke Lenni-Lenape as an American Indian Tribe in 1982, but the status of that recognition came into question when federal agencies challenged their status with the state. The Nanticoke Lenni-Lenape Nation filed state and federal civil rights lawsuits in 2015 alleging New Jersey had provided information to U.S. General Accounting Office questioning the group's status as an official, state-recognized American Indian Tribe. The GAO advised the tribe that New Jersey does not recognize any Native American tribes. During the lapse in official status, the Nanticoke Lenni-Lenape were barred from access to federal grants and scholarships, lost contracts obtained in the past by tribally-owned businesses and lost the right to label traditional arts and crafts as "American Indian-made." Under the $2.4 million settlement reached this week, New Jersey will affirm the tribe's historic recognition and formally notify all relevant state and federal agencies of their recognition status. New Jersey does not admit liability or wrongdoing under the terms of the settlement and the tribe does not receive federal casino gaming rights, disclaiming any interest in them. "We hope and believe that this resolution will set the stage for the restoration of a positive, mutually respectful, and collaborative relationship between the Tribe, the State of New Jersey and the government of the United States," the tribe said in a statement of gratitude on Friday. The tribe said former New Jersey Gov. Chris Christie's administration "acted to undermine our state recognition" and caused the tribe significant harm during the period its status was unresolved. The Nanticoke Lenni-Lenape Tribal Nation is headquartered in Bridgeton, Cumberland County, and the majority of its tribal citizens live in southern New Jersey. They have permanent seats on the New Jersey State Commission on American Indian Affairs and are a voting member nation of the National Congress of American Indians.